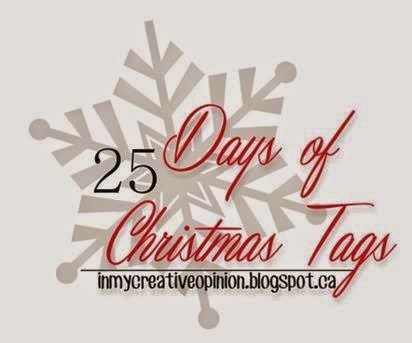 Today I am honoured to be participating in Tracey McNeely's 25 Days of Christmas Tags post. 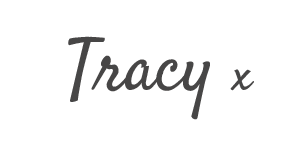 I love Tracey's blog, and she is such a talented and kind person. She leaves lovely comments on my blog on a regular basis, as I know she does on so many other peoples blogs too. Thanks Tracey! 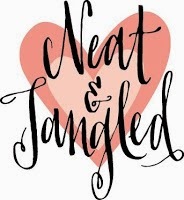 Today we are featuring products from Neat & Tangled. 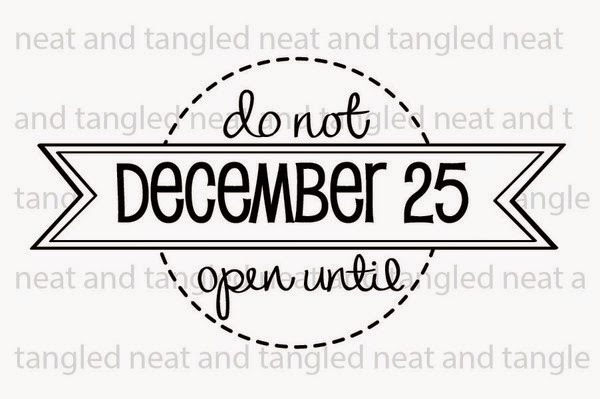 Danielle has designed so many great Christmas images and it was hard to choose, but I decided to go with the Do Not Open stamp. I also used some of her gorgeous sequins, can't go without those! I have to apologise for the photography, I was having a terrible time with the light. Hope you have a fabulous day, thanks for stopping by. Great tag! Love the layering, textures and sequins! Great tag. I like how you photographed it with all the sequins. Gorgeous tag...love the layers and colours. Beautiful Tracy, I love the pretty gold!! Tracy I love your shaker tag--it's gorgeous! Thank you so much for joining me as my guest at the 25 Days of Christmas Tags! Oh my...your tag is elegant, classy and oh-so-pretty! The colour combination, paired with the framing/sentiment...swooning! Super cute tag - love the sequins. 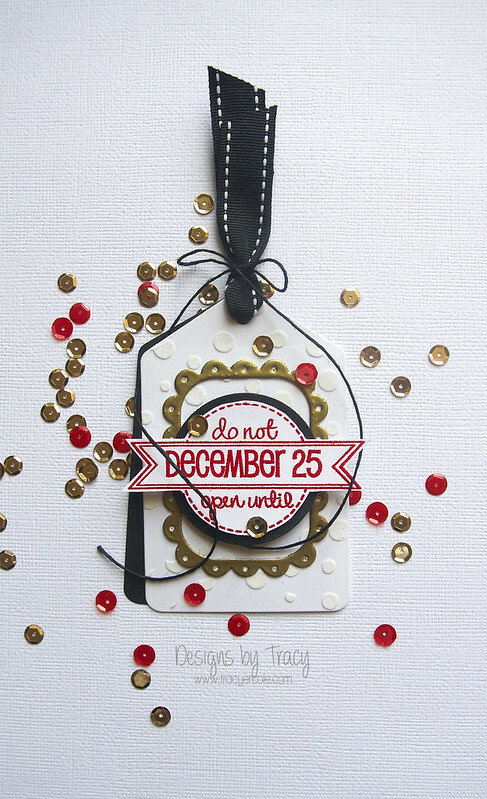 I adore all the layers and dimension on this fabulous tag, Tracy! And the color combo is gorgeous, too! LOVE your double, offset layers, LOVE your circle embossing & scalloped frame, LOVE your FUN sentiment too!!! How adorable! I am trying to figure out how you did the gold trim behind the words? Fabulous! Love all the gold! So shiny and gorgeous!